4,913 Artworks have been viewed 4,913 times. 8 Artworks have been added to favourites 8 times. Eva Gonzalès (April 19, 1849 – May 6, 1883) was a French Impressionist painter. 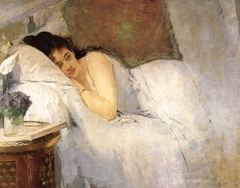 Eva Gonzalès was born in Paris into the family of the writer Emmanuel Gonzalèz. 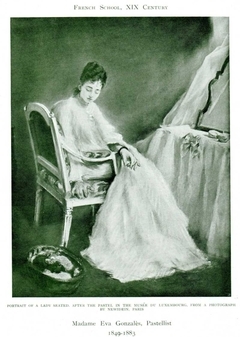 In 1865, she began her professional training and took lessons in drawing from the society portraitist Charles Chaplin. 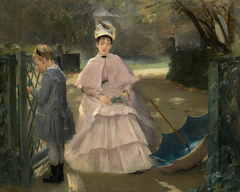 Gonzalès became a pupil of the artist Édouard Manet in February 1869. 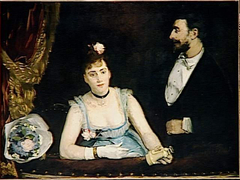 Manet is said to have begun a portrait of her at once which was completed on 12 March 1870 and exhibited at Salon in that year.